Planning Your Insanity-Free, 'Practical Wedding' Couples planning their weddings are forced to make scores of difficult decisions — managing the guest list, the cost and family expectations. In her new book, Meg Keene helps couples focus a little more on the meaning of marriage, and a little less on the flowers and cake. Couples planning their weddings are forced to make scores of difficult decisions — matching the guest list to the budget, and juggling their own values and the expectations of family and friends. Wedding-planning books and blogs can add more pressure than guidance — they make newly engaged couples feel like their weddings must be showstoppers, never mind the bad economy. Even the hardiest of partners can feel a little lost. 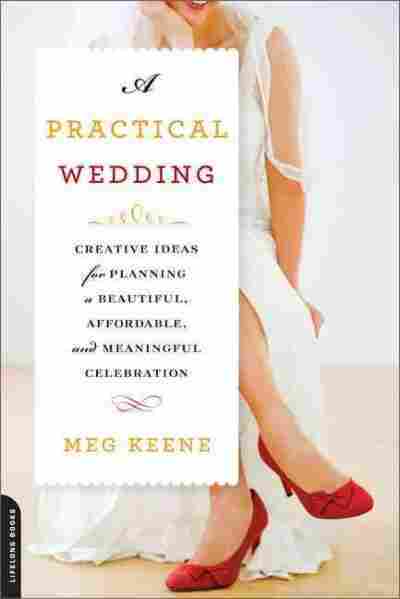 Author Meg Keene certainly did when she started to plan her wedding. 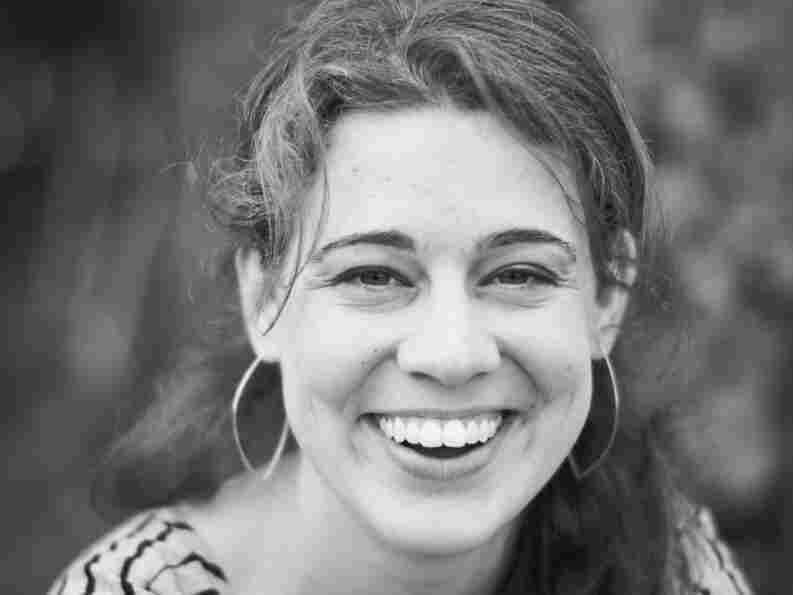 "I came home two weeks into wedding planning in tears," she tells NPR's Jennifer Ludden. "I researched budget options, and the first thing I came across was the $2,000 'budget' invitation package." That's when she knew that keeping her wedding affordable — and sane — was going to take some doing. She started a website inspired by her experience, and her new book, A Practical Wedding: Creative Ideas for Planning a Beautiful, Affordable, and Meaningful Celebration, focuses on helping newly engaged couples focus a little more on the meaning of marriage, and a little less on the flowers and cake. "The wedding industry as we know it now sort of emerged in the 1920s, which is interesting because everything was changing culturally. And there was more money being spent on weddings, and things were becoming a little bit more formal, a little bit more outside the home. "But the interesting thing is the wedding industry emerges as this advice industry in a moment in time when, suddenly, your daughter is running off and she's getting married with lipstick and alcohol and a skirt that's knee-length. "So moms, I think, are wanting some advice to help them through this muddle. And the wedding industry pops up, and there they are, ready to help you out and provide, you know, very expensive advice to help you through the process. "[And it continued to thrive through the Depression with] the slogan ... 'love knows no depression,' which I think has been repurposed as 'love knows no recession,' which arguably is not true at all, but — I mean, love may know no recession, but I think weddings definitely do." "I think there has been sort of a runaway wedding inflation. We did the math on re-creating my parents' wedding. My parents got married for about $4,000, but it's still a pretty fancy wedding. They got married at the big Episcopal cathedral in San Francisco and had a reception at the Marines' Memorial Club. Four-thousand dollars in today's dollars — that's 15,000 inflation-adjusted dollars. "The minute the word 'wedding' is attached, you're in trouble. ... Solving that problem can be as simple as, you know, having the hoedown, having the potluck. You just have to sort of bust through the expectations because there's this idea that ... if you have a potluck, you're doing it wrong. "But I think ... hopefully, if we have a positive view of marriage, this is just the beginning. It's not the capstone. Hopefully, there's many, many happier days to follow. This is just a really important day where you celebrate the start of something important, vowing to spend your life with someone — and having a really great party." Meg Keene, author of A Practical Wedding, says she has seen many more simple, sensible weddings lately — and more elopements, too. "One of our favorite weddings that we went to was a potluck wedding, and then they put all of their money into getting a swing band. So we remember it as a super fun wedding with fantastic dancing. ... I mean, the food was great. It was community food. But if they had spread that money around, and they had had like, oh, not that great food, not that great dancing, not that great anything, it might have just been a little bit more stressful and not had something that was great. "That said, you could have a potluck wedding and no band at all and just have an iPod and still have a fantastic wedding. But I think that focusing your dollars on the things that you're most passionate about often really has a big payoff."